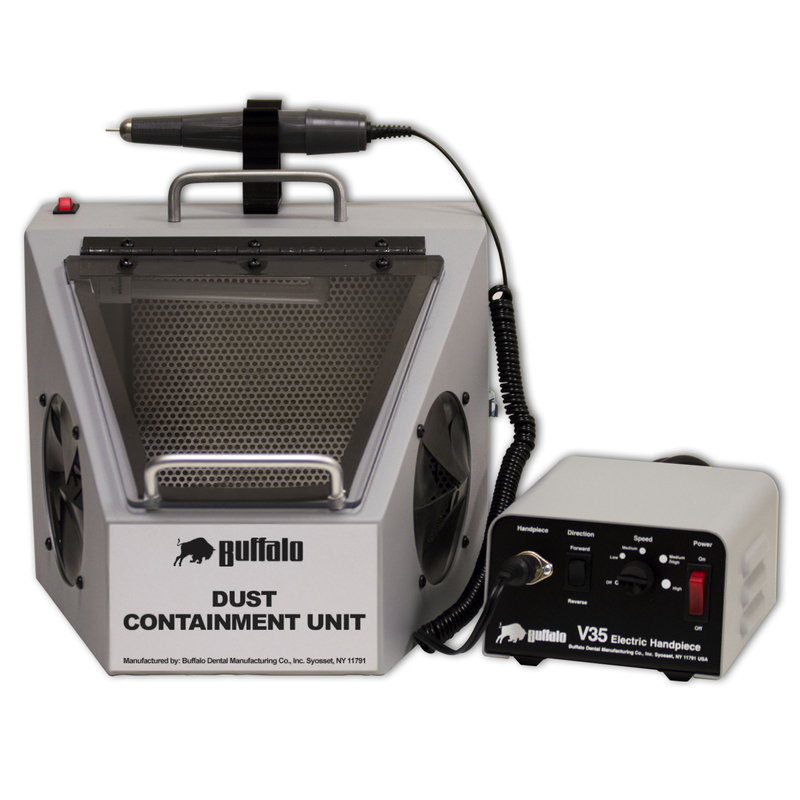 Dust Containment Unit (D.C.U) - Buffalo Dental Manufacturing Co. Inc. 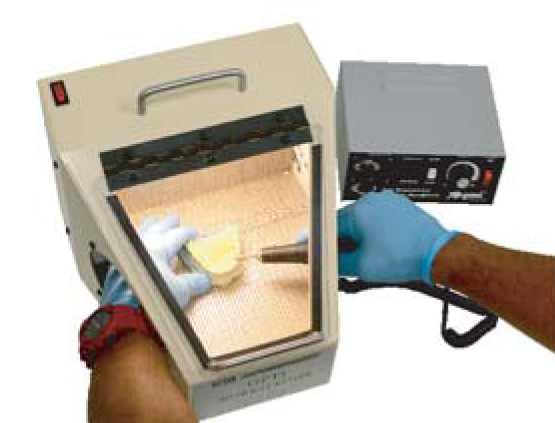 The solution to dust and debris from handpiece grinding. PROTECTION FOR YOU AND YOUR STAFF! 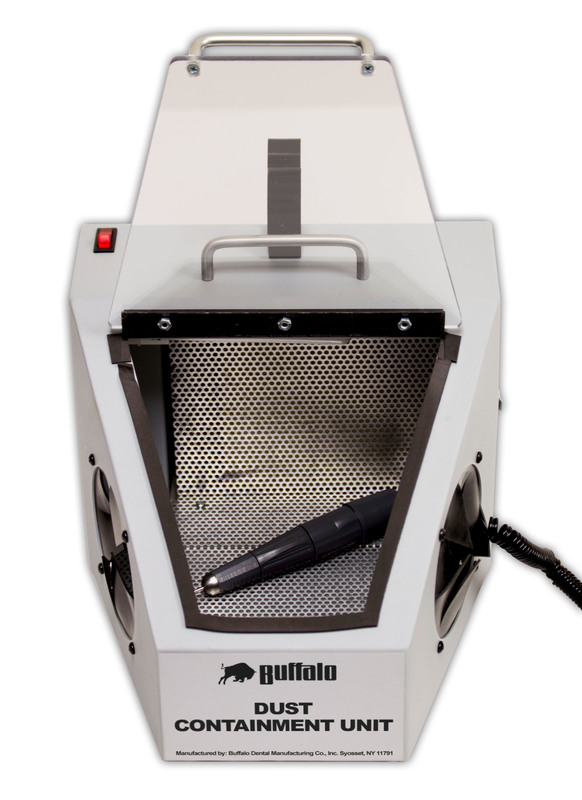 Enhance safety for you and your assistant with the new Buffalo Dental Manufacturing Dust Containment Unit. The D.C.U for short, is an enclosed unit featuring an internal light, suction fan and filter system that will allow you to use the included V35 Handpiece System in a more sanitary and safe environment. 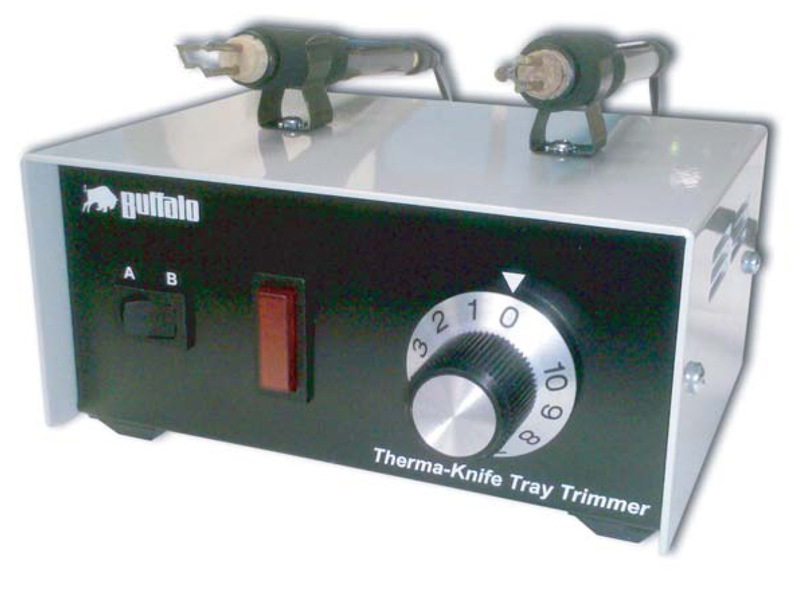 Ideal for a dentist to use in a mini-lab or backroom. Small Size (11″ wide x 12″ deep x 8 1/2″ high) fits easily on countertops. 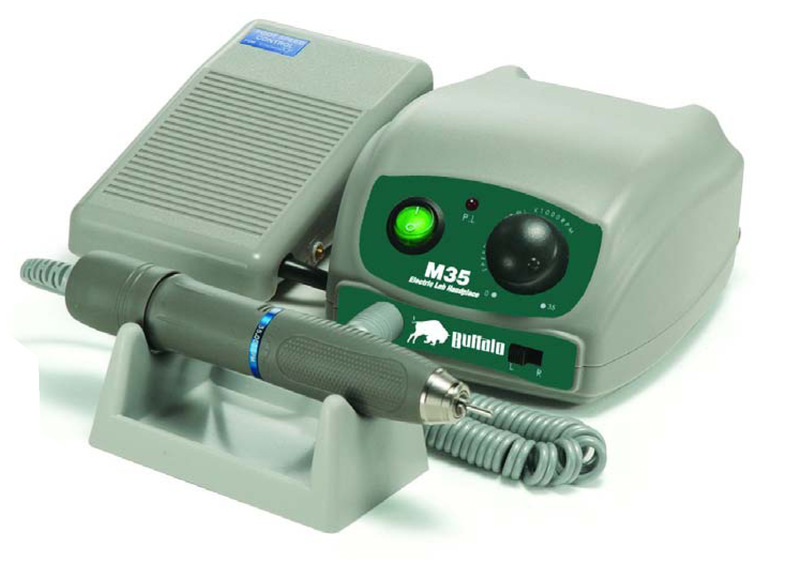 High Powered, reliable, 35,000 RPM V35 Electric Handpiece System ideal for most cutting and grinding needs. 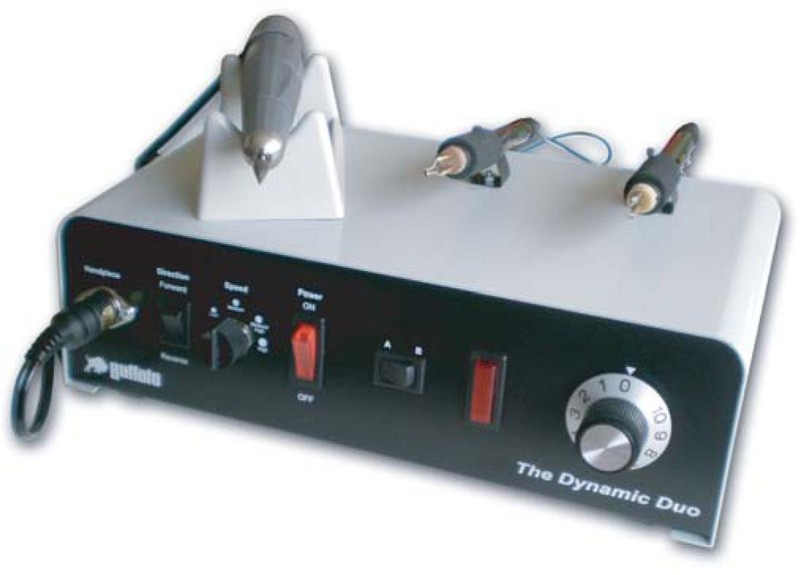 High-torque handpiece provides smooth operation and powerful performance. Hinged top window and internal light fixture provide bright illumination for clear viewing. 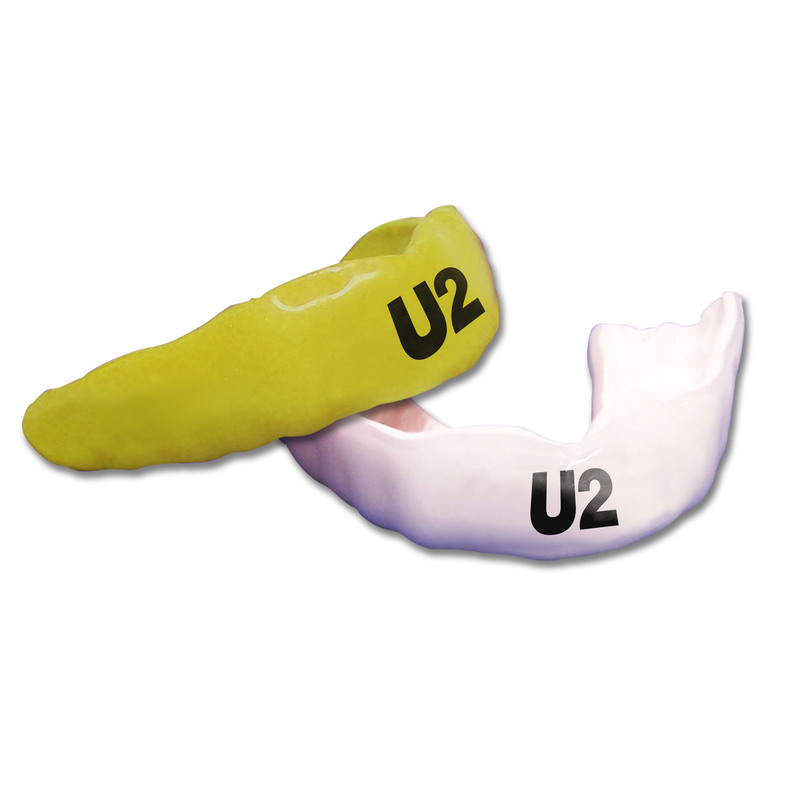 Dual, wide hand holes allow comfortable hand positioning and access to large workspaces. Efficient suction fan and filter collect damaging grinding debris and maintain quiet operation. High capacity internal filter that is fully replaceable. Additional 120 V AC power outlet on back of the unit for operating electric devices. Hinged rear door for easy cleaning. Convenient handpiece clip on top of unit to keep your handpiece at the ready.